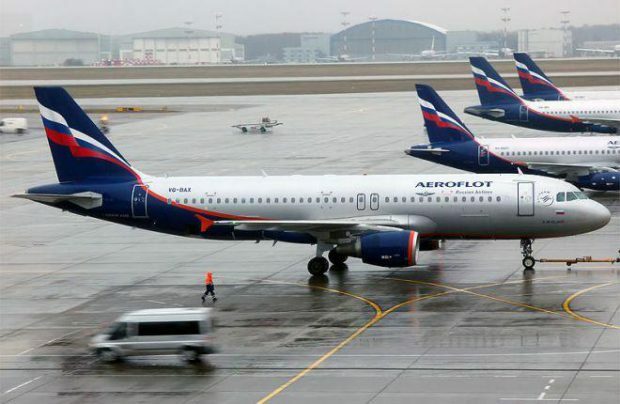 Russia’s two largest airline groups – Aeroflot (made up of the title carrier, Rossiya, Aurora and LCC Pobeda) and S7 (which embraces S7 Airlines and Globus Airlines) – both reported an increase in passenger traffic in April. Last month, S7 Group, Russia’s second biggest airline agglomeration, grew a little faster than its arch-rival Aeroflot, carrying a total of 1.141 million passengers, a 10.4 per cent increase on the same month of 2017.
International traffic grew faster than domestic, 15.7 per cent against 8.8 per cent, respectively. S7 Airlines and Globus jointly served 289,600 passengers on international routes, and 851,600 domestic travellers. The upward trend is explained by both the group’s expanded presence in western Europe and the development of its regional programme following the entry into S7 Airlines’ service of all 17 Embraer E170 regional jets. It outperformed sister carrier Globus, having served 845,300 passengers, up 21.7 per cent year on year. However, since Globus has recently added two Boeing 737s to its fleet, its performance is projected to improve as well. The country’s largest airline group Aeroflot collectively carried 4.2 million passengers in April, improving on the previous year period by 8.8 per cent. Contrary to S7, its domestic traffic grew slightly faster than its international sector, at nine against 8.6 per cent. The flagship carrier alone served 2.8 million passengers (plus 7.5 per cent year-on-year). However, it was the group’s low-cost subsidiary Pobeda Airlines which stole the limelight, demonstrating spectacular growth of 58 per cent, having carried 523,500 passengers and, in doing so, for the first time entering Russia’s top-five carriers list. St Petersburg-headquartered Rossiya’s traffic, by contrast, continues to slide, slowing down the entire group’s overall growth. In April it was 5.5 per cent down on the same month of 2017, to 731,600 passengers. Finally, Aurora Airlines, which operates in the Russian Far East region, demonstrated a six per cent growth in the first four months of 2018, with no further details yet disclosed.